The introductory course has lectures reviewing the history of osteopathic medicine, the principles and practices of manual medicine, and then five techniques are presented through lecture and lab. The introductory course has lectures reviewing the history of manual medicine, the principles and practices of manual medicine, and then five techniques are presented through lecture and lab. Understand the pivotal dates in the history of manual medicine. Understand the primary concepts and definitions utilized in the principles and practices of manual medicine. Understand the history and the primary concepts behind the following manual medicine technigues: HVLA, Muscle Energy, Strain-counterstrain, the Still Technique and the Soft Tissue Techniques. 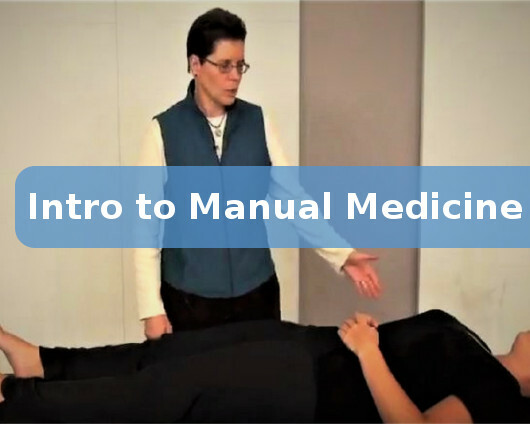 Learn or review the basic application of the following manual medicine technigues: HVLA, Muscle Energy, Strain-counterstrain, the Still Technique, and the Soft Tissue Techniques. Introduction to Manual Medicine: 6 Hours. This includes watching the video course, taking the post-tests and practicing the techniques and exercises.